When in the car with a little one you feel like you are travelling with precious cargo. Although with Aaron being three and a half years old now, this does not weigh as heavy as it did when he was under 1, I still, even now, always sit in the back with him, so I can attend to his every need. Makes poor Daddy look like a mini-cab driver though. This was Aaron on Saturday 19th June 2010, the day he left hospital; his first time in a car seat. When I sent the photo to family in Ireland everyone said he looked 3 months old. Choosing a car seat is something I spent weeks on - here are the car seat rules. I remember our first long car journey as if it was yesterday. Aaron was born June 2010, and we had to go to a wedding September 2010. It would involve a night away, at the Premier Inn, and it was my first time packing for Aaron. For some reason I took this to be a momentous task, and approached it as such. I spent HOURS packing (nothing compared to when we went to Ireland in the January though). I tried to think of every eventuality that could occur in 24 hours, so brought everything but the kitchen sink, including a large half moon breastfeeding pillow... Aaron had about 6 changes of clothes and at least 3 pairs of PJs (if memory serves me right) and probably 6 muslins too. I wish I could remember if I brought the steriliser. Although we breastfed, we combination fed due to low milk supply. Anyway, due to all my panic and packing, we left late. We could still make it, in theory, if we didn't make any stops, but we were travelling, London to Nottingham, with a 3 month old, so that was never going to happen. It's a 2.5 hour car journey. Plus I religiously adhered to the time-limit for being in rear facing car seats - I've always been told "do not let your baby sleep in the car seat for long periods, as it can place a strain on his/her developing spine". I can't find reference to the time limit on the interwebs as all the search results concern the time they spend in a rear facing seat in years and months not minutes! It's interesting reading up on car seats actually. I kept Aaron rear facing until as late as possible. Don't rush to get them out of rear facing as rear facing car seats have been proven to be safer, especially in a forward facing collision. This is already the norm for parents and families in Scandinavian countries and recently the American Academy of Pediatrics (AAP) changed their recommendations to say that all children should remain rearward facing until the age of two years. On the way to Nottingham we stopped for various reasons along the way, and got there much later than planned. IF we'd had a breakdown, God forbid, we would have been in an even worse pickle! As if we weren't late enough already we decided to check in at our hotel before the wedding. Well I hadn't worn dressy clothes in the car, so needed to get changed. It was at this point I realised I had not packed my heels; all my focus had been on Aaron and getting through the car journey and packing for his first overnight stay. The wedding was great, but, when we arrived the ceremony was just over, so it was straight to the reception for us. I am never late for anything, but luckily having my focus on Aaron distracted me from the shame of it. My eyebrows looked better back then! Wow! Back then, I could often be found baby wearing although we did use a buggy too. I love the fact that repairs are completed in less than 30 minutes on average - great with children in the car! (Based on the the AA's average arrival to completion time October 2012–September 2013). AA came top in 'Which?' magazine's independent survey in August 2013. Nearly 7,000 people were surveyed – over half had AA cover. This is the 8th year running AA have been given a top Which? recommended breakdown provider award. The AA considers themselves to be the 4th Emergency Service. Like with 999 it's not something we use often, but boy is it imperative once we do!!! I don't drive but as a female, I would make sure I had breakdown cover for so many reasons (1) now I am a Mum it is a must-have (2) as a female I wouldn't want to be stranded in a broken down car and (3) I would love going to my mechanic armoured with the info the breakdown mechanic had given me, as I know they are very knowledgeable, and often flag things about your car you wouldn't otherwise know. This is exactly what happened over a decade ago when the husband and I were on our way to a concert. The breakdown cover mechanic arrived so quickly, that we teased him that he must have been waiting around the corner. He got us on our way so quickly, we were still on time for the concert. This post is written 100% in my own words, in association with the AA who has rescued 2,000 flood stricken drivers in the past two weeks! 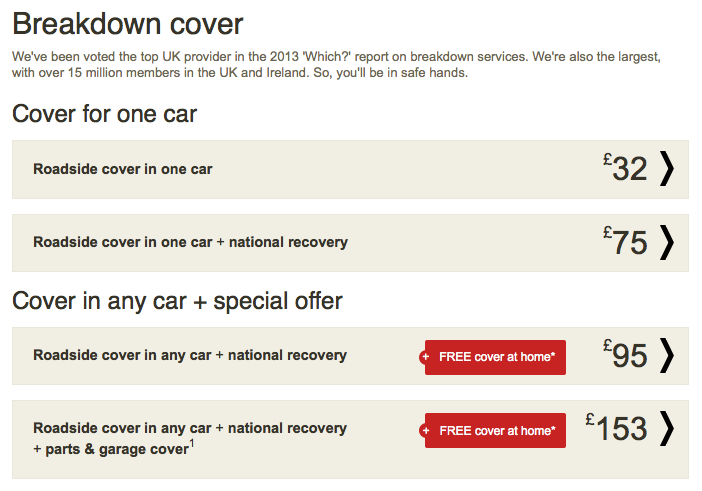 We have AA cover and it's saved me on more than one occasion - really good to have!